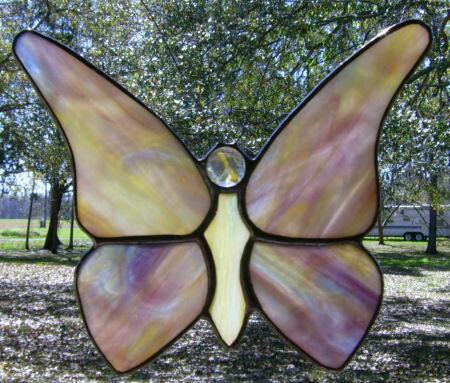 You will complete a Butterfly Suncatcher during your first class. 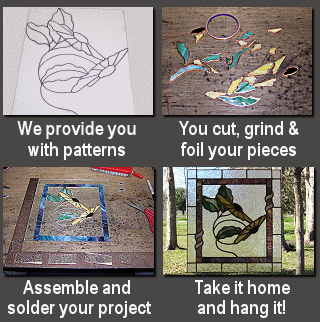 Then, with our help you will design and build a window measuring approximately 16" x 20" during your next 4 weeks. Materials for this window are not included in the class fee. Day classes run Tuesday, Wednesday & Thursday from 10:00am until 1:00pm. Night Classes available from 5:30pm until 8:30. on Tuesday, Wednesday or Thursday.